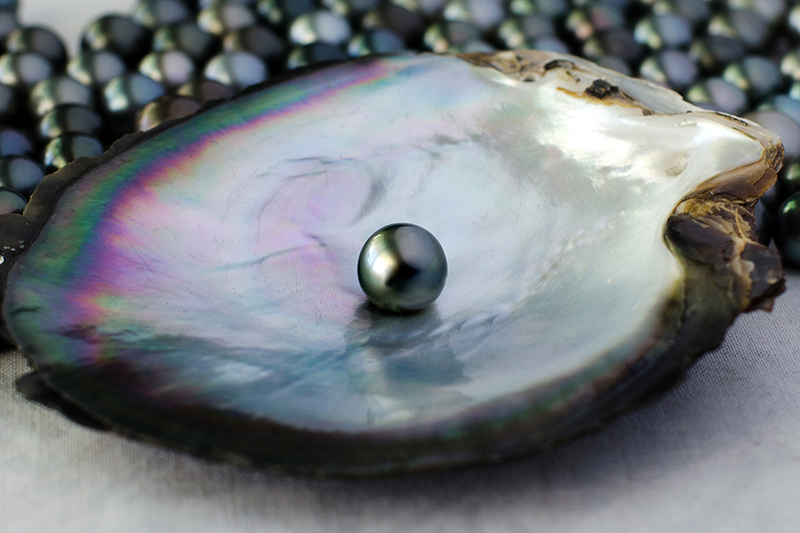 The most beautiful on the planet, black pearls or rava poe (in Tahitian) are also known as “Queens’ pearls”. This precious unique gem is born exclusively in French Polynesia, in the warm Tahiti lagoons. It is so delicate and it can only develop in the depths of this special, uncontaminated marine habitat. A sea jewel and regal symbol of purity and perfection, that blooms into full glossy beauty after two long years. Rich in essential amino acids, the Tahiti black pearl is an elixir for long life. Researchers have shown that it is able to reawaken, stimulate and accelerate cellular turnover and natural regeneration processes, combatting skin ageing. Through a special micronizing process, the pearl dust is transformed into a “cosmetic jewel”, a precious secret of youth.